Prices of the Nikon D4 and Nikon D800 have shot up by up to £500 over the weekend, seemingly after Nikon UK informed dealers of a "systems error." 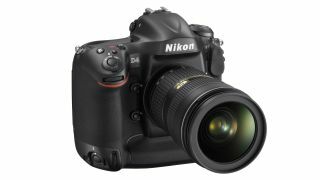 The Nikon D4, which is the company's new flagship pro model, was originally priced at around £4800, but it is now being listed as £5289 by several websites including Jessops. At the time of launch, Nikon was keen to point out that it had been able to bring the D4 to the market at less than £5,000, seemingly a snipe at its biggest rival, Canon, which introduced the Canon 1DX with an RRP of £5299. The D4 is now just £10 cheaper than the 1DX, which is likely to disappoint many customers, especially those who have pre-ordered, should retailers choose to impose the increase. Meanwhile, the Nikon D800, the company's semi-pro model has risen in price by £200, to £2599. It is still cheaper than the Canon 5D Mark III, which is currently selling for around £3000. Pre-order sales of the Nikon D800 have been described as "unprecedented" by Nikon UK, while we found that most retailers didn't have any stock left on the day of its UK release. We will attempt to investigate the price rise next week, so stay tuned for any further updates.